I’m not a big fan of « contouring », I'm more on the « strobing » side, the art of highlighting the face. I like the idea to enhance the beauty by slightly intensifying the high points of the face and by giving it a healthy glow. So today I wanted to share with you my three favorite highlighters of the moment. 1. 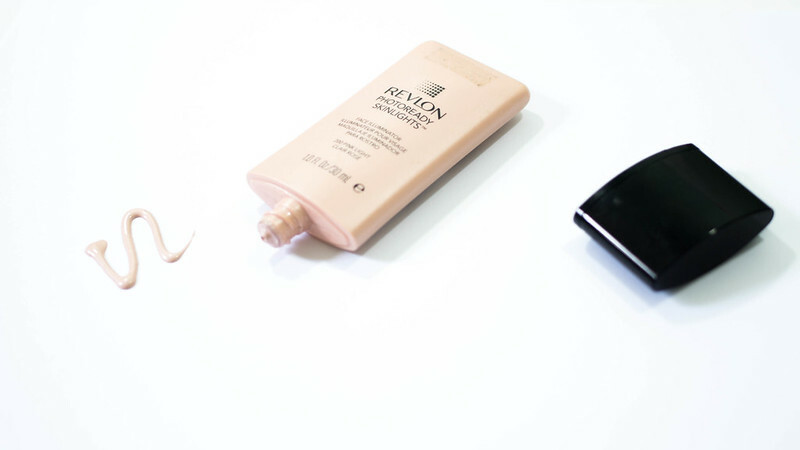 The Revlon Photoready Skinlight liquid highlighter in the shade “Light Rose”. I like to use a liquid highlighter. 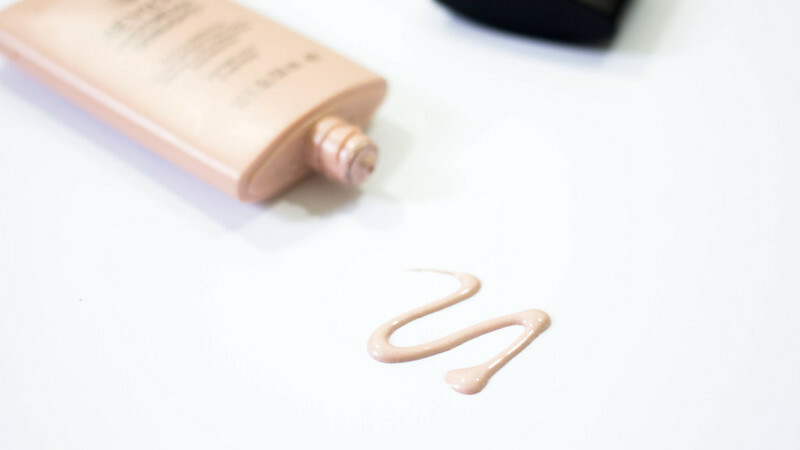 In general, I like to use liquid or cream products because I find that the product really blends into the skin and the result is much more natural and subtle. This highlighter is very beautiful, it’s very similar to “Copacabana” from NARS. It gives a pearly effect, not glittery at all, that you can build up by adding gradually more product. I especially apply it on top on my cheekbones and my cupid bow. Sometimes, when my skin is very dull, I like to mix a little bit of the shade “Natural Light” to my foundation. The highlighting effect is very subtle but enough to give a boost of radiance to my skin. 2. 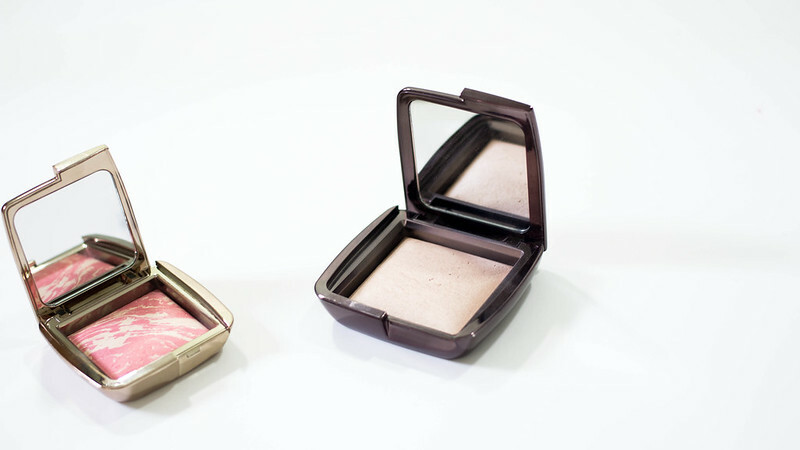 The Hourglass Ambiant Lighting Powder in the shade “Dim Light”. I personally use this highlighting powder on my entire face to give a general glow to my skin. The color is beige/peach, very natural. I love this powder because the effect is absolutely not cakey. Again, there is no glitter in it, the effect is pearly, which gives a more natural result. 3. 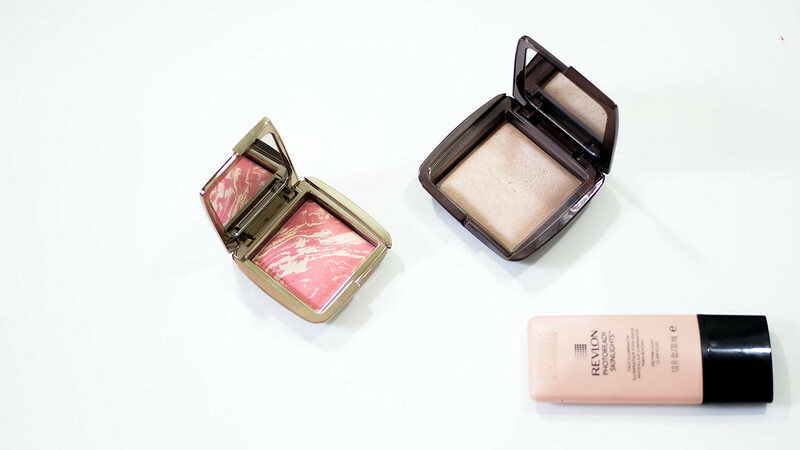 The Hourglass Ambiant Lighting Blush in the shade “Diffused Heat”. Combining a blush and a highlighter is such a good idea in my opinion! In this blush, the color is more like an old fuchsia pink, a beautiful color for fall. This color is mixed with the Ambiant Lighting Powder in the shade “Diffused Light”, which is a warm yellow shade. I am a big fan of this combo. I find that it gives such a gorgeous glow to the face, very subtle. I love it! And you, what is you favorite highlighter?